Sources: Connecting to Microsoft SQL Server 2014? I am desperately trying to connect to a Microsoft SQL version version 2014, but without any luck. Has anyone succeeded doing this? What am I doing wrong? It is not a firewall issue and the naming is correct too. Looking forward for your replies. A huge "Thanks" in advance. This issue has now been resolved. 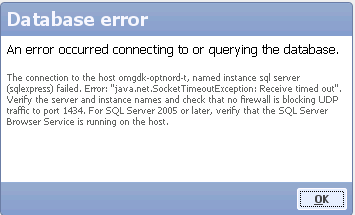 A SQL server login was being attempted but SQL Server was configured to only accept Windows Authentication. Open SQL Server Management Studio, right click on the server and then click "Properties". Under Server authentication, click the SQL Server and Windows Authentication mode option button, then click OK.
You will need to restart SQL Server for this to take effect.